Bankstown-Lidcombe Hospital is a principal referral group A1B hospital with tertiary affiliations to the UNSW Australia and University of Western Sydney providing a wide range of general medical and surgical services and sub-specialty services to a local Bankstown/Canterbury community. Main entrance is located off the turning circle off Eldridge Rd. Uniwide is available in the Student Common Room and Education spaces. The Student Common Room includes computers, lockers and kitchenette. The Hospital library is located on Level 4 and is open from 8.30am-5.00pm each day. Bankstown students will be issued with Hospital identification on their first day at the Hospital. Students must wear the ID at all times while in the Hospital. Limited parking is available at the Hospital with a maximum cost of $10/day. 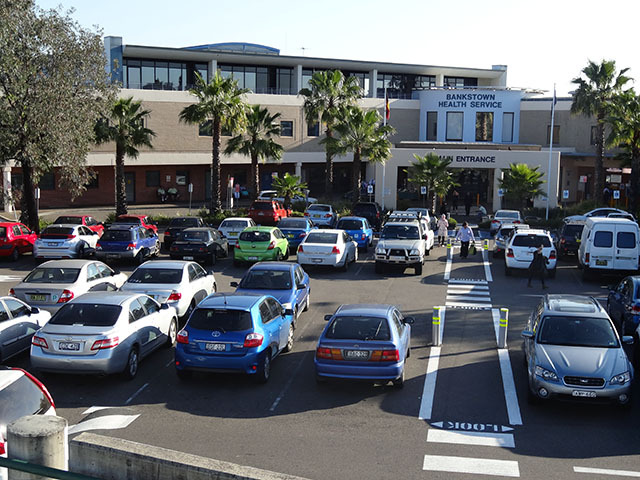 Students who drive should allow sufficient time to find street parking (which is mostly free and not time limited) but is in high demand as a result of the adjacent high school. A Transport Access Guide for the Hospital outlining local bus routes is available below. Students should use http://131500.info/ to plan their trip from Kensington or home and ensure they allow ample time for the bus transfer to the Hospital.